This program is not a game. 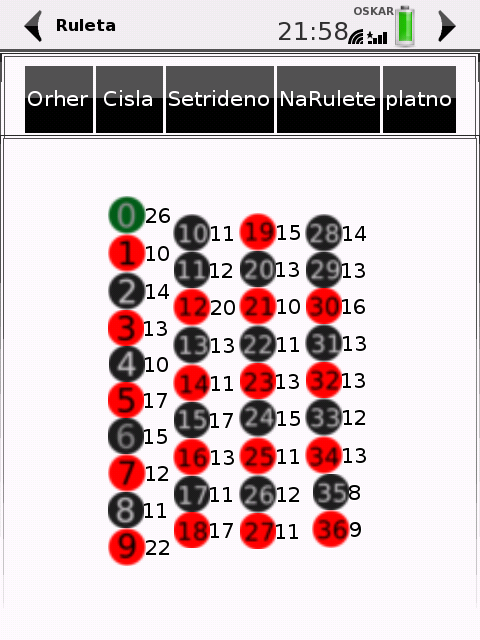 Ruleta is graphic program for creating records and statistics of the fallen numbers in game roulette. The application is programmed in language Python. It uses the database SQLite and graphics library Elementary. The program was tested on the Openmoko Neo FreeRunner with distribution SHR. 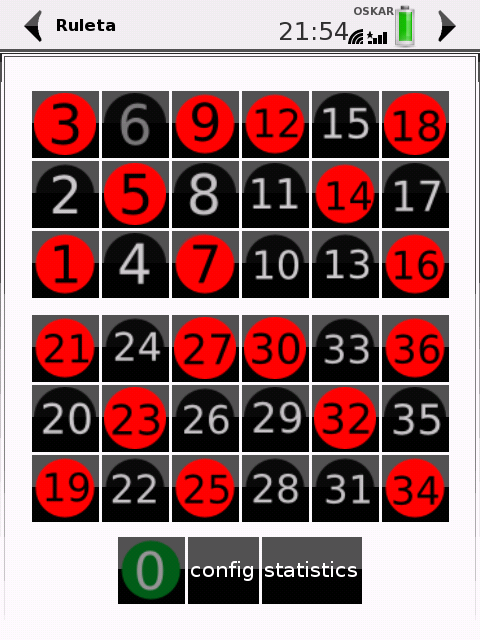 An application can use to increase the chances to win the game. 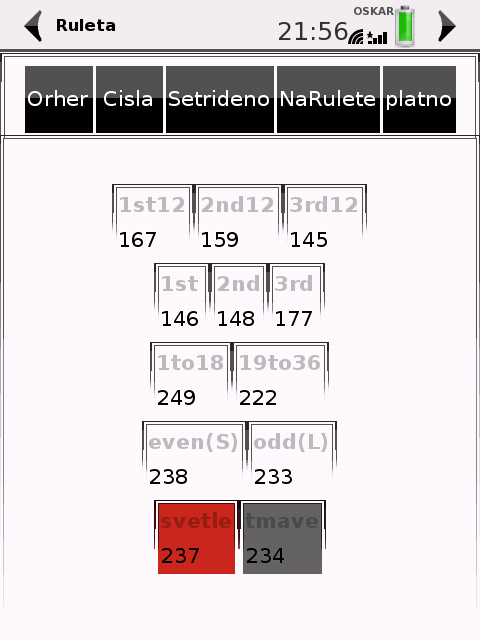 Or check the electronic roulette - using a statistical analysis to determine whether the fallen numbers are truly random.